The biweekly podcast highlights lessons learned, best practices and novel ideas. 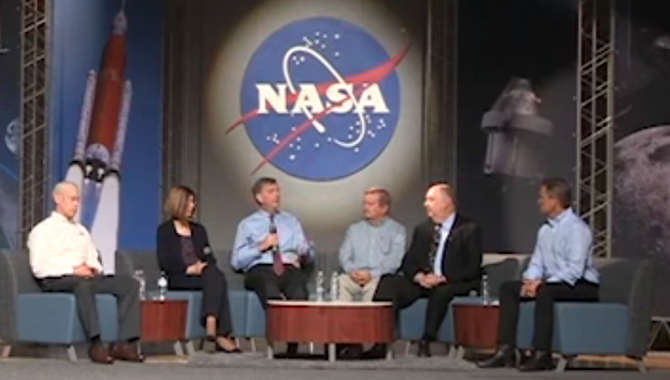 The preview contains a montage of interview clips from future episodes featuring aerospace leaders. Neil Armstrong: That’s one small step for (a) man, one giant leap for mankind. Deana Nunley (Host): The iconic words of Neil Armstrong as he stepped onto the surface of the moon continue to inspire. A small step can ultimately lead to a giant leap. 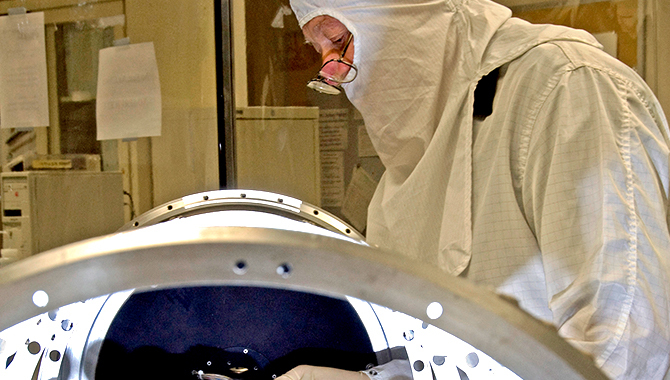 For NASA, small steps pave the way to giant leaps forward in knowledge, innovation, science and exploration, and lead to mission success. Within a project, small steps may occur in the form of a better process or an innovative idea, leading to a significant achievement or technology breakthrough. NASA’s APPEL Knowledge Services presents “Small Steps, Giant Leaps,” a biweekly podcast featuring interviews and stories, tapping into project experiences in order to unravel lessons learned, identify best practices, and discover novel ideas. The “Small Steps, Giant Leaps” podcast showcases project experiences, challenges, opportunities and successes, examining ways the seemingly small stuff can make a big difference. Here’s a preview. Jeremy Parsons: Decision velocity is in and of itself, I think, going to be one of our more critical cultural challenges that we face moving forward. Both at a programmatic level and at an agency level, we are going to have to make decisions in a timely and effective manner. That doesn’t mean we have to make poor quality decisions. That means we have to make decisions of a high quality more quickly. Brian Thomas: In terms of boots on the ground and practical projects that bring value to the agency today, I think it’s definitely on the soft AI end. It’s the machine learning end, which is very exciting, potential new capability for the agency. It shouldn’t be viewed as some sort of scary thing that’s going to get rid of people. Rather, to my mind, it looks more like a bionic arm. This is going to help people execute tough, large jobs. Without the human to provide the trained data, the machine learning algorithm cannot go. Mark Kirasich: Truth is at the factory floor. Factory is one term. It’s wherever the point of the work is. John Sprague: We call it ‘Doc in a Box.’ You’ve got all that astronaut data. So you take all that data, and then if something happens and you’re way out in the middle of nowhere, like maybe on your way to Mars or your way back or something like that, if something happens, you don’t have time to try to get a flight surgeon on terra firma here, to be able to tell those people what to do, especially if it’s step-by-step. This ‘Doc in a Box’ can do that kind of thing and it’s an amazing tool. David Miranda: The definition of innovation is something different that has impact. Technologies can definitely be innovations, but innovations are not only technologies. Innovations can be processes. They can be anything. 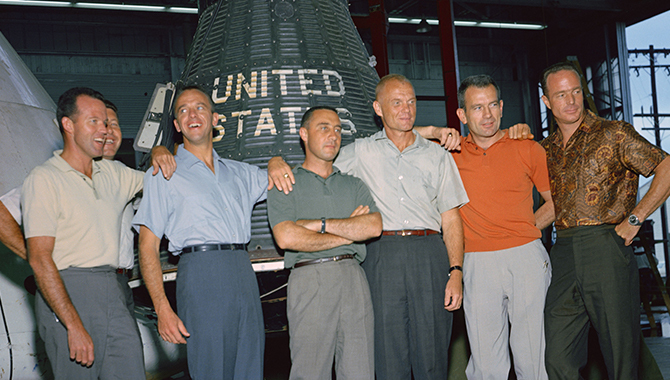 Torsten Bieler: We brought this beautiful, super-complex thing up into space. We put stuff together that had never seen each other. Then you bring them to a place far away at a speed which is crazy, and everything fits together. For me, this is mind-blowing. This is fantastic, and this shows you what humanity is capable of. Host: We invite you to subscribe to the podcast and tell your friends and colleagues about it. If you have suggestions for interview topics, please let us know on Twitter at NASA_APPEL and use the hashtag SmallStepsGiantLeaps. 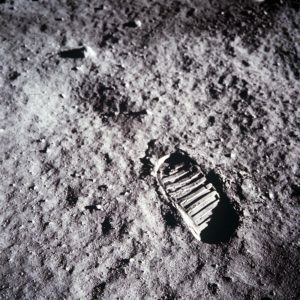 For more information about Small Steps, Giant Leaps, please visit appel.nasa.gov/podcast. Deana Nunley, a member of the APPEL Knowledge Services team, is a communications professional with more than 15 years’ experience supporting NASA contracts. A former broadcast journalist, Nunley has spent most of her career in public relations and strategic communications positions and holds the Accredited in Public Relations (APR) certification.